Stevenage new build garden, one year on.. 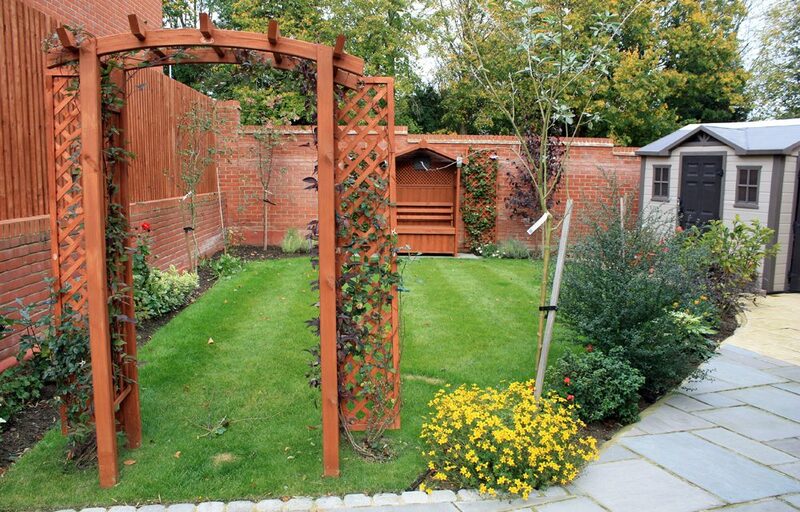 This was a challenging project to deliver for several reasons; one being the huge amount of waste that required removal before any installation could take place and the fact that I was also cutting my project management teeth on this garden design installation, which certainly kept me on my toes. My client was a seasoned project management professional (retired) and incredibly generous in offering guidance and support and huge amounts of tolerance throughout the delivery of the project, which on occasion splattered and faltered along. I was responsible for not only the design of the two gardens but also the organising of all the manpower, equipment hire and waste trucks, plants budget, paying landscapers and looking out for every other potential deviation from installation. Including dashing to suppliers for materials just to keep the project installation moving forwards when parts of an order wasn’t quite right. I have now become very familiar with manhole covers and hoppers! On site for 7 weeks – I camped in my clients’ utility room with my laptop, this was no small task (no pun intended) but keeping up the essential communication with clients meant that last autumn brought to life a garden that was previously nothing more than a dumping ground for the builders in this corner plot. 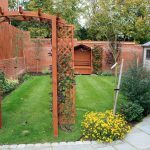 So, to present day – one year on and I am genuinely relieved and delighted that clients truly love and live in their garden. I created two distinct styles using different materials in each. The patio extends from the kitchen and living room which leads through a planted archway into a cottage garden with bench. Great to see all the plants and trees thriving in this part of the garden but I did spot the munching habits of vine weevil and so advised applications of Nematodes for the soil. 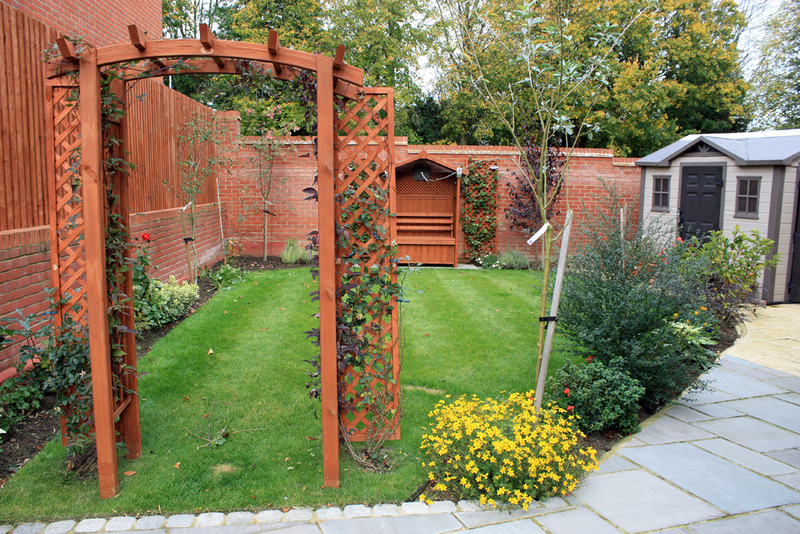 If you would like to talk to me about your garden project, please do get in touch!